Over the past eight years, I have had the opportunity to review multiple Optoma projectors in their Home Theater and Game Time product lines and have not been disappointed in any of them. I have given the GT720 (9.0), HD33 (9.8) and GT750E (9.5) exceptionally high grades due to their performance, ease of use and bang for your buck. It has been over three years since the last review, so I was eager to see how Optima’s latest sub-$1K projector would stack up against three very worthy models from years past. After spending some time with it, it is obvious that Optoma has been able to achieve the absolute perfect blend of quality, features and functionality for the price with the Optoma HD28SDE. Dimensions (in) 12.4" x 4.5" x 8.8"
Screen Size (in) 59" to 394"
The Optoma HD2SDE is packaged as I have come to expect all Optoma projectors. When opening the box (not much bigger than a laptop box I might add), the projector is nestled between cardboard buffers and within a rigid air shell with the projector itself inside a plastic bag to protect the finish. In addition to the projector, the HD28SDE is shipped with a lens cap, AC power cord, remote control, batteries for remote, multilingual CD-ROM, user’s manual, quick start card, and warranty card. Neither 3D glasses nor the compatible RF emitter are included. The Optoma HD28SDE comes in a beautiful gloss-white finish and has a very small-form factor. Unlike previous Optoma models I have reviewed, the input panel was actually on the side of the projector. The other side as well as the front and back are simply loaded with slots for ventilation to keep this projector running cool internally. The top has separate manual dials for zoom and focus and array of buttons for control that includes power, menu, source input and directional controls among the many options. This allows you to still be able to control your projector is your remote is lost or not functioning. The front is dominated by the oversized projection lens, plastic lens cap, IR receiver and the aforementioned ventilation fins. The side panel of the HD28SDE has a simple layout consisting of the two HDMIs, mini-USB, 3D SYNCH, 12V Out, Powered USB port (5v), 3.5mmm audio out, power plug port and security bar. Overall, the HD28SDE has a nice clean design within a small package, so it is can be mobile or fixed, depending on how you choose to use it. I might ad that the white finish is very resistant to showing dust and fingerprints. I was pleasantly surprised to find that a very solid and backlit remote comes with the HD28SDE. The last few Optoma projectors I have reviewed at this price point tended to have very basic remotes with only the base functions on them. 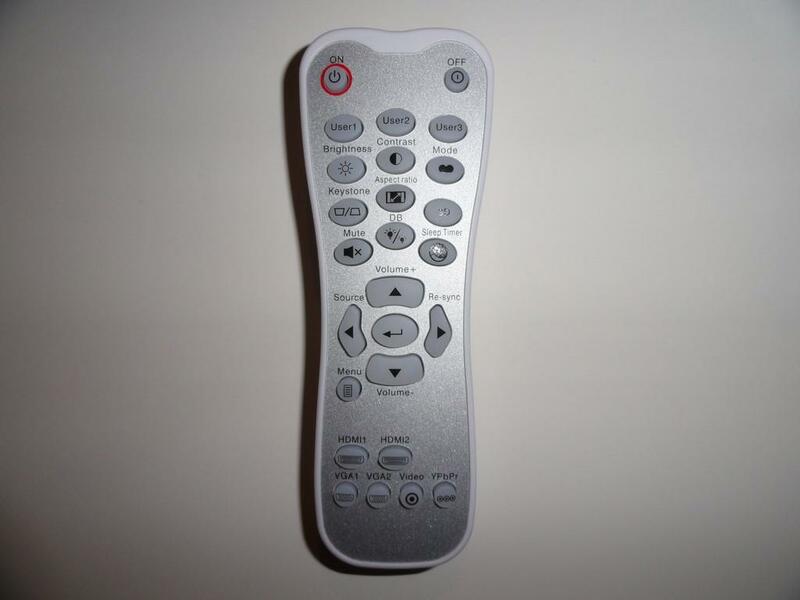 This remote though contains everything you would need to change inputs, easily make tweaks to your screen size and location (although Zoom and focus were manual) and in general, control the projector from your chair. It is well laid out with the primary buttons most users will be pressing located near the top ((Power Controls, User buttons), Middle (directional buttons for menu navigation) and bottom (Inputs). The backlighting was incredibly bright and a nice add-on, especially for use in the dark. Pulling the Optoma HD28DSE from the box, I had a smile on my face as I remembered the ease of use that made previous Optoma projectors (GT720, HD33 and GT750E) virtually plug-and-play. After getting it situated on the stand and powered up in under a minute, it took about five more minutes to play with the keystone and Horizontal and Vertical alignments to get the image in the sweet spot of my 92’ Screen. As with previous models that were manual focus and zoom, 10 seconds of finger movement and I had a crisp and clean image. All told, less than 10 minutes from box to playing games is an astounding feat for a flat-panel TV, let alone a projector that usually needs several tweaks to fine tune the image. 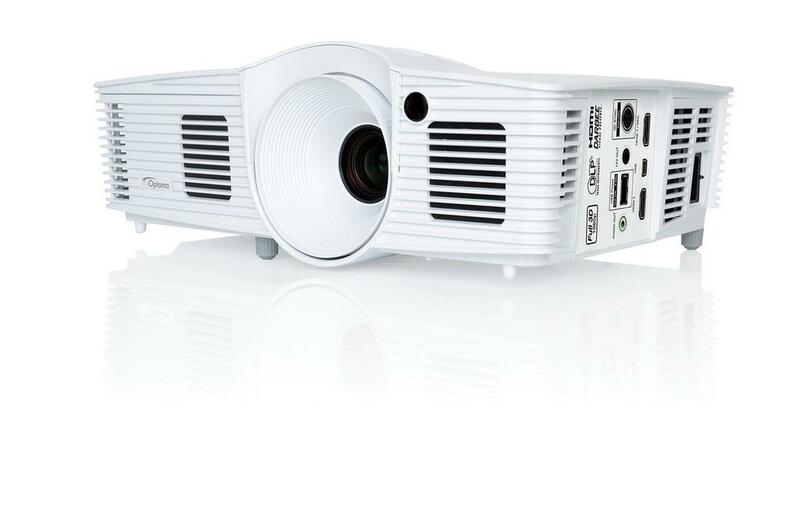 Optoma continues to do a great job of getting projectors as close to the best image settings as possible at the factory, so the consumer can start enjoying their new projo without a bunch of labor intensive calibrations and adjustments. As for mounting, I again went with a table-top location, approximately 10 1/2 feet from the screen at a height of two and a half feet. This is a little lower than I normally go for testing purposes, but my goal was to see how quickly I could get what a consumer could only consider their new "toy" set up and playing games as quickly as possible. • The native 1280 x 1080p resolution is a welcome addition and fits neatly into the 16:9 screen horizontally. 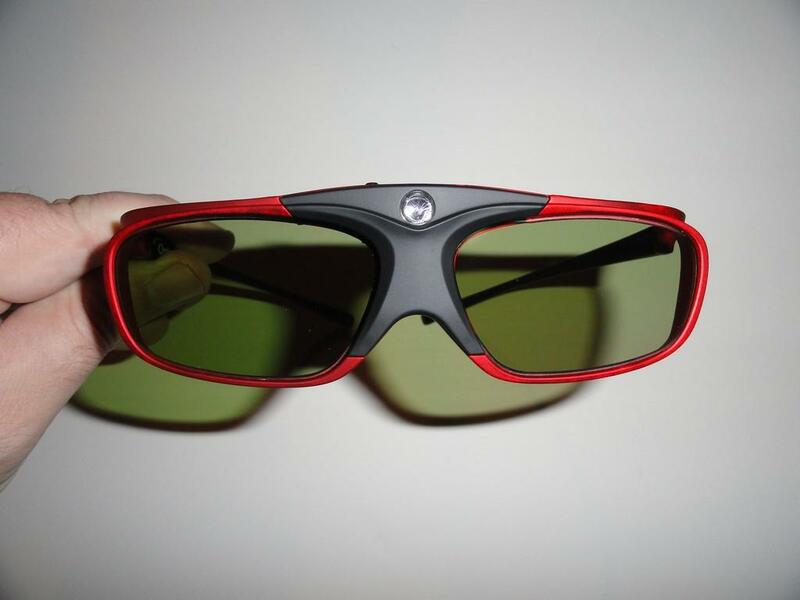 As I have seen on previous Optoma 3D projectors, the company has standardized their active-shutter 3D glasses with their 3D projectors, so the same glasses will work across virtually their entire projector lineup. 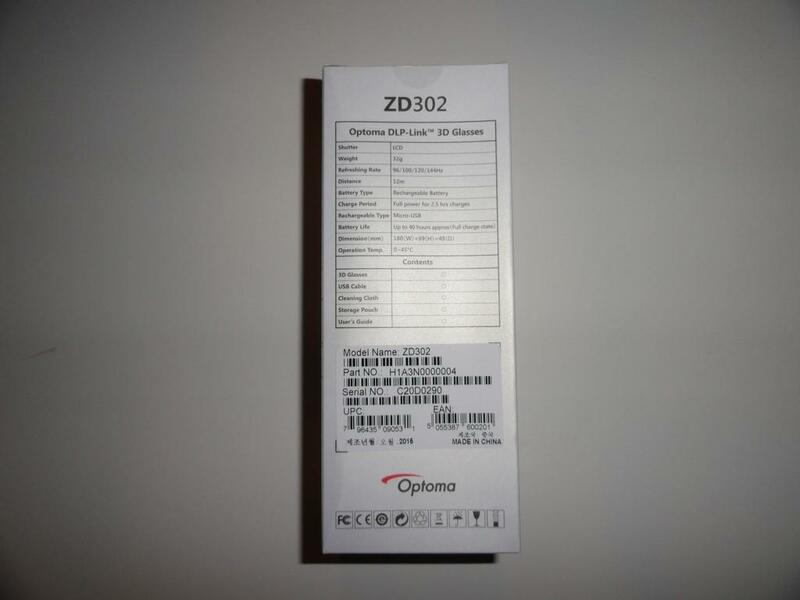 In the case of the HD28DSE, I was sent the ZD302 DLP-Link 3D glasses to accompany the projector during the review process, although Optoma also has the option of using any of their RF 3D glasses and RF 3D emitters. 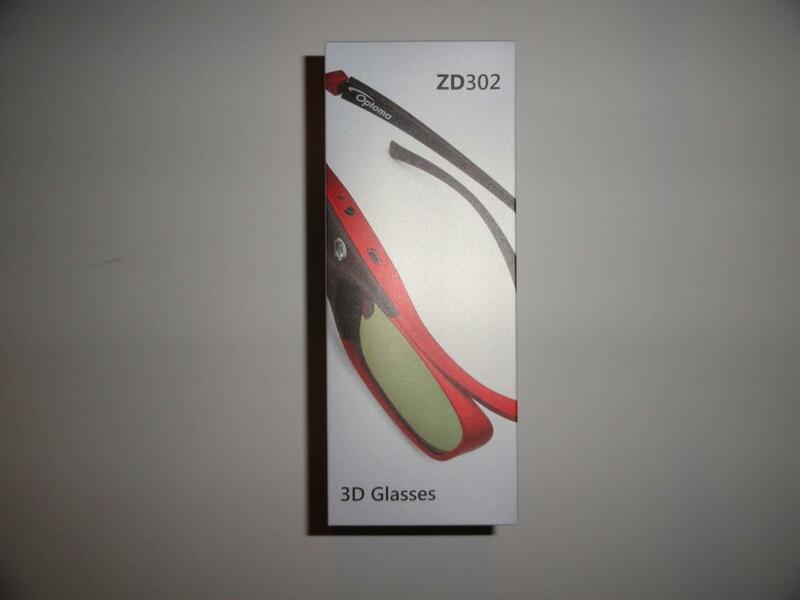 While the ZD302 DLP-Link glasses do not have as comfortable of a fit as the RF models (which feel more like those old passive RealD style glasses), they certainly provide a great 3D viewing experience and were easy to both charge and connect to the projector. Once they were on, I didn’t notice them or have any unnatural pressure point show up, although I did experience a bit of moisture/fogging of the lenses when I started getting warm. Having now reviewed both types of glasses, I definitely prefer the fit and feel of the RF glasses over the DLP Link, but the DLP link models are more in line with industry standards and are easier to wear for those that wear regular glasses. The other big benefit of DLP-Link is not having to use the RF dongle or worry about whether it gets lost or not. I charged the glasses upon arrival (USB dongle from my Xbox One USB port), and after being used for a few hours and sitting dormant for the remainder of the last 30-days, they still held a charge. So although I wasn’t able to prove out whether they reached their Optoma specified 60-hours of usage, I think the majority of people that game are so used to recharging their controllers or other devices that its likely these would never see the end of a charge cycle. 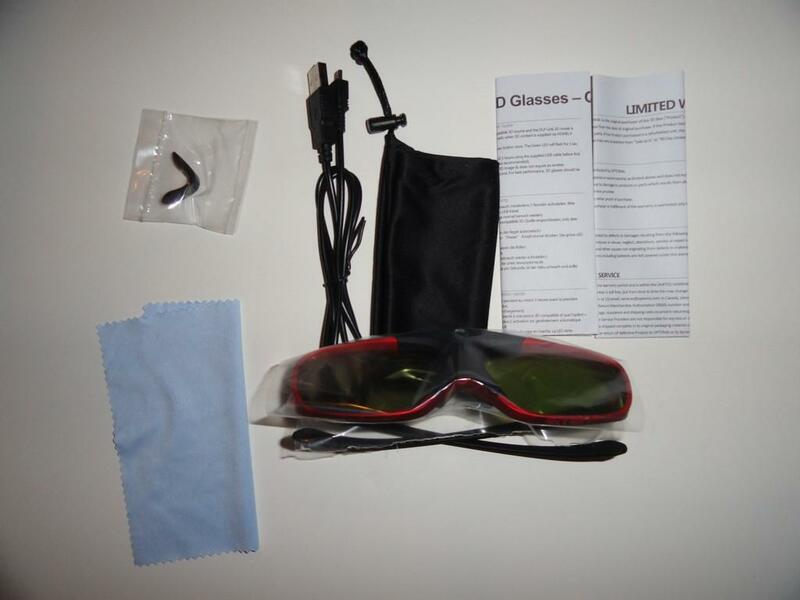 You will need to purchase either the RF or DKP-Link glasses separately, but they are well worth the $49 average cost you can find them for in the internet. The primary function of any TV or projector should be to deliver high-quality pictures to the consumer, regardless of what type of media you are putting through it. But even as people continue to cut the cord, vide will continue to be the #1 media shown on any device, whether that comes off of a Blu-ray disc, streamed across the internet or directly from a cable provider with the quality of this video extremely important to the person watching it. In the case of the HD28SDE, I ran multiple video sources to it trying to get a feel for how it would perform. This included streaming directly from the Xbox One with ESPN, Netflix and the Time Warner App, as well as playing both Blu-Ray and 3D Blu-Ray discs through it. I also connected an HDMI out directly from a DirecTV satellite receiver to view the NFL Sunday Ticket. In all instances, I was extremely happy with the images that the HD28SDE rendered. The feeds from the traditional source (DirecTV satellite receiver) were outstanding and were right on par with my 65” Vizio LED which is situated in my family room and is my households main TV. The streaming services matched the quality that I was expecting and have seen previously on other devices, which is a good thing. Told me that the HD28SDE was not altering the image I expected, even if it was the slightly degraded streaming version versus coming across a coax-cable or Satellite feed. After running multiple video sources to it, I was completely satisfied that it would deliver what I would expect to see with 1080p performance. A couple of specific examples of the performance projectors performance that caught my eye were pretty much any live sporting event. This is especially true for NFL games on the Sunday Ticket and live NASCAR races, with constant action and multiple colors constantly rushing across the screen. In addition, any animated Blu-Ray discs really stood out on the HD28SDE. As a reference, I always look specifically at Sully’s fur in “Monsters University”. As I had hoped, the HD28SDE displayed each and every strand of his fur and showed off the detailed texture and the vividness of the blue and purple hues. I didn’t get as much time with the 3D video performance as I would have liked, but I did break out my two reference discs in Puss in Boots 3D and Cars 2 3D. Again, I chose animated images to get a real idea of the projectors capabilities with CGI and not the limitations of a camera and an editing guy. As I was expected, both films came to life with the additional 3D imagery seen through the DLP-Link glasses on the HD28SDE. The effects added significant depth to the movies and get you more immersed into the story itself. As with previous Optoma projectors, the addition of 3D doesn’t come at the expense of the basic performance and functionality of the projector itself. With the HD28SDE being a full-1080p projector with 3D, the capabilities and performance as a home theater projector are without question. 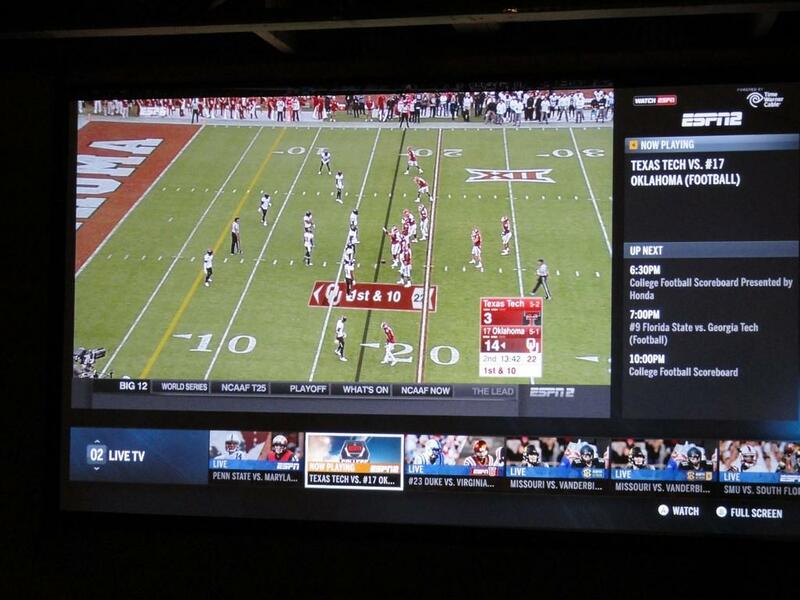 You can watch any media source from 59” all the way up to almost 400” in the confines of your home for less than $800. If you want to set up a family of four with 3D viewing as well it will cost you and additional $200 for 3D glasses, which is the same cost as attending four 3D movies at $12.50 each. I would have no problems making the HD28SDE the centerpiece of my home theater or man cave. When it comes to testing projectors for video games, I try to select a nice cross-section of games that show off the capabilities from both ends of the spectrum. In this case, the games ranged from Rock Band 4, to Super Stardust HD, Powerstar Golf, Rocket League, Madden, arcade games, shooters and finally The Elder Scrolls: Skyrim. Having a nice blend of titles, especially across current and previous generation consoles is key to being able to provide an accurate assessment of the HD28SDE’s capabilities as a gaming projector. As much as I hate to say it, my go to game for reviews has been Skyrim, and will likely continue to be until Bethesda releases a new Elder Scrolls title. I am so familiar with the game on multiple devices (projectors and flat-panels) that I know where to test for performance as well as how to create those extreme light-to-dark situations (to test brightness and color saturation) along with specific sequences in the game that will tax any projector due to the sheer volume of on-screen activity. After spending a few hours running quests, taking on dragons and just doing some general exploring, I was really happy with the performance that the HD28SDE put in. 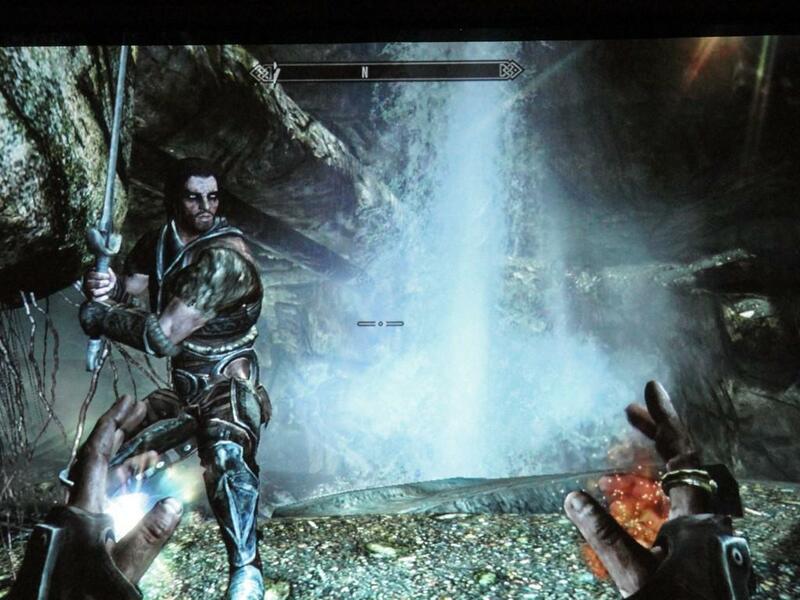 I grabbed the below screenshot off of the 'Proving Honor' Companion quest, with Farkas in the foreground while focused on the running waterfall in the background. This is a taken with a camera and 10.1MP, so the image is actually crisper than what you see below (which is for illustration purposes). Rock Band 4 (RB4) was another title that I reviewed the HD28SDE with. 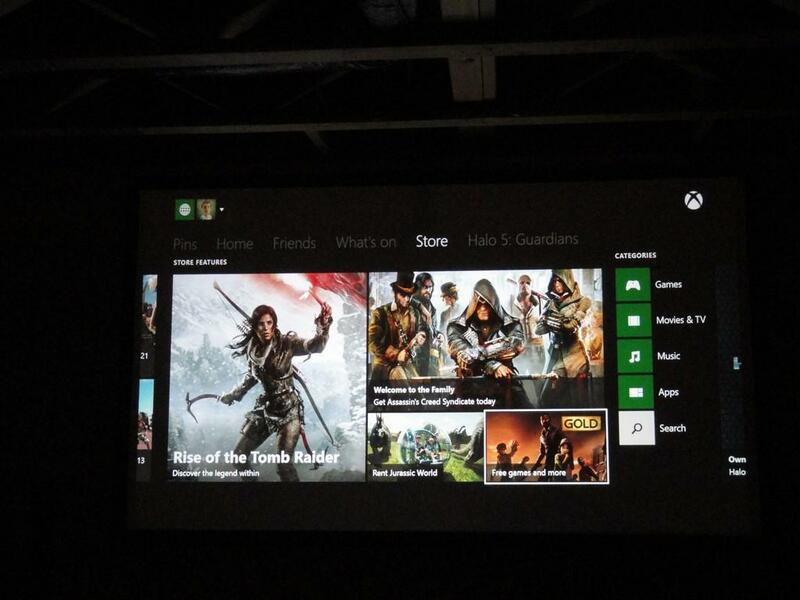 In fact, I hosted a GamingNexus staff event on the weekend it came out to show off both the game and the projector. While Rock Bad 4 doesn’t do much in terms of earth-shattering graphics, it does contain lots of activity on the screen at any given time, including notes being constantly hit. So for review purposes, I focused on how the projector handled all of the simultaneous motion of three horizontal note tracks for the drums, guitar and bass along with the vertical scrolling of vocals. After playing through quite a few songs the last few weeks, I can say the projector handled the images flawlessly. I never saw any screen tearing, color saturation or issues with too much activity going on. The color and black level performance were exceptional, and even the latency to the projo was minimal after calibration with the Xbox One and game. One nice add-on in RB4 that showed off the projos color capabilities were the new graphics for the guitar solos. They varied in design, but reminded me of the stylings of the 60’s, with the colors and movements. As seen with other games, the projector rendered all RB4 content without any distortion and made them look very bright and vivid. I would be very comfortable stating that the HD28SDE provided the best overall Rock Band imagery and performance I have seen to date on a projector. 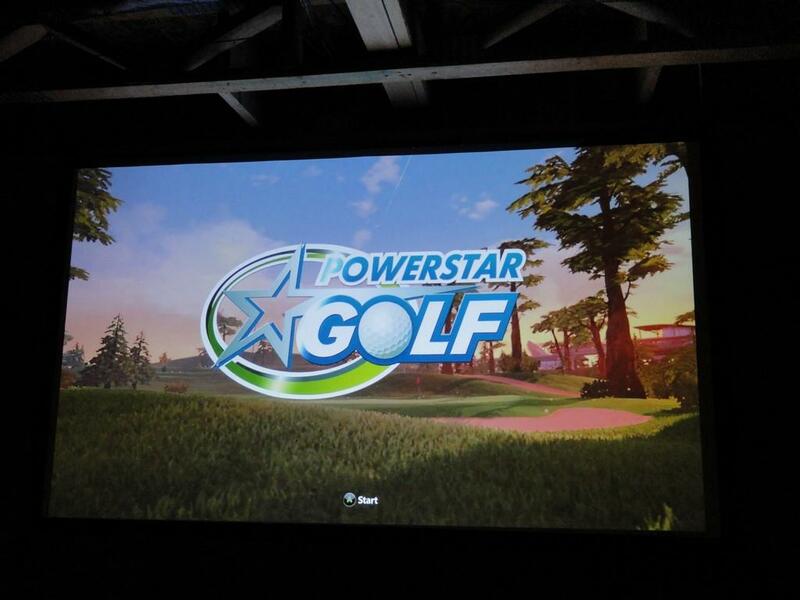 Another game I played a lot of due to its simple graphics in nature and quirky art style was Powerstar Golf on the Xbox One. I love the art style of the load screens and the fact that the HD28SDE was able to reproduce them so cleanly. Looking at the image below you can see how details just pop. The gameplay itself can have a lot going on, especially when you get to a green and have all of the directional arrows running all over the place. However, the projector handled it flawlessly from what I could see and the game looked clear and the motion was smooth. Although 3D gaming has hit a bit of a plateau in recent years, there are still some games that have it integrated, as well as plenty of titles form last gen that utilized it. With the HD28DSE having 3D capabilities, I had to test it to see how it help up against the 3D found in prior projectors, and especially Optoma models that I have reviewed previously. At this point, with the amount of titles dwindling, I went with the one reference game I like to use for 3D testing to see how the HD28DSE stacked up: Super Stardust HD on the PlayStation 3. Much like I found in my prior reviews, this game, even on the older PS3 platform, still jumps off the screen at you. The HD28DSE 3D created an absolutely immersive experience while playing it. With the projo being native 1080P (unlike previous 3D projos that were only 720P), I did notice an extra crispness to the details of the game that I hadn’t felt before. Although the game is over eight years old, it meshed with the HD28DSE to show off what 3D gaming should have been when pared perfectly between source and output. If 3D gaming continues to be developed, the HD28DSE should have no problem rendering no matter how deep of an experience the developers create. After spending countless hours playing games on the HD28SDE, I would say this may be one of the best projectors to pair with a gaming console that is on the market. Between the modest cost, portability, full functions and 1080p performance, there may not be better option under $1,200 on the market today that performs the way this Optoma does with games. 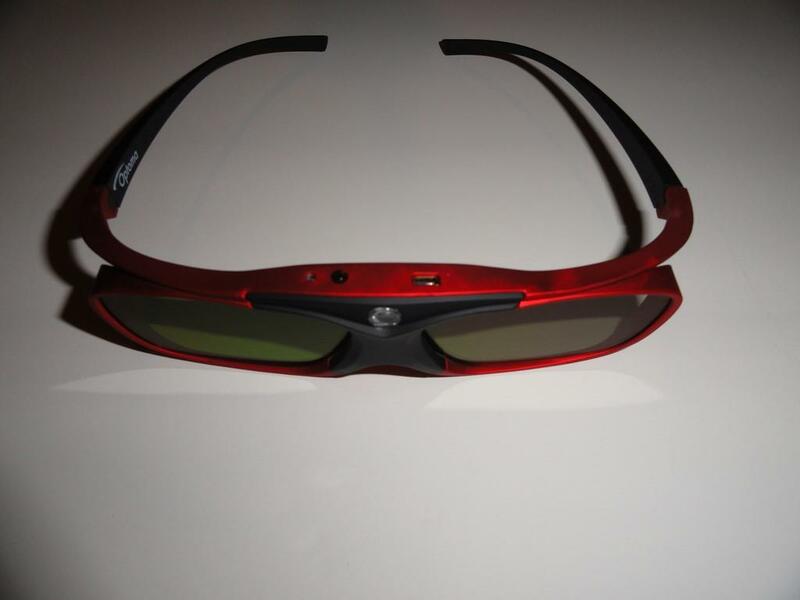 Xbox One, PlayStation 4, Xbox 360, PlayStation 3, Optoma ZD302 3D glasses, 16:9 92” Da-Lite fixed screen. Testing was done at a throw distance of approximately 10 1/2 feet from a 92” 16:9 screen with a tabletop install location (~2.5 feet off the floor.) Multiple seating locations were at a distance of 8-16 feet from the screen. After reviewing countless projectors over the years, I have always been searching for that one that I would not hesitate to invest my own money into. After spending the last 30 or so days with the Optoma HD28DSE, I can say that I have finally found the projector that I would buy and put in the Home Theater area in my basement. The reasons are numerous as you can gather form the review. 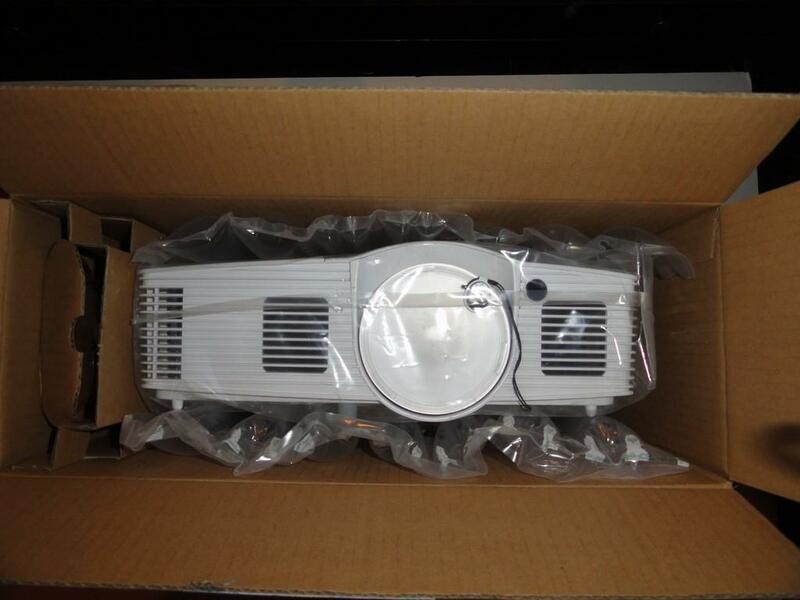 However, the simple answer is the performance for your investment with this projector is off the charts. 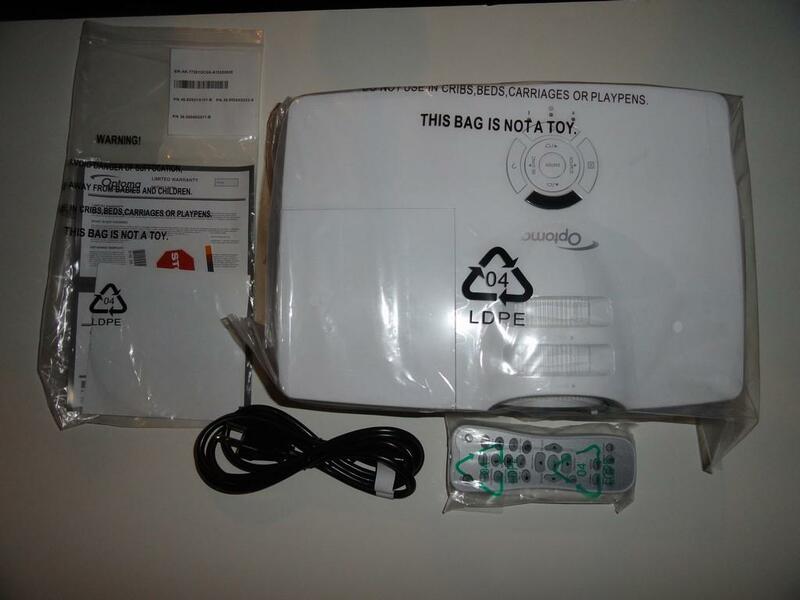 For the casual user that wants to watch movies on it, play games on it or have a large group of friends over, this projo is the perfect model to own and use. The features, small form-factor and the price make it, in my opinion; an absolute must have for anyone that wants the biggest entertainment option they can get for their money. While this projo may not be the perfect fit for those that will heavily use it as their primary viewing source, the bulb life and performance would allow the HD28DSE to easily take on that role in your home. There was very little I could find to nitpick at with the HD28SDE, with only the excessive heat it puts out, a lens ca that requires a bit of finesse to put on and a limited zoom. Otherwise, I am just splitting hairs. It has everything that any gamer or person that simply wants to watch movies and TV shows could ever want in a projector. 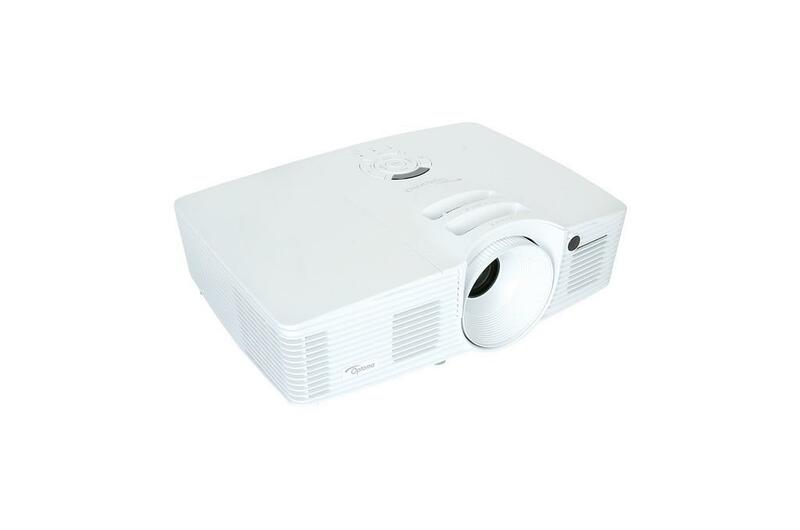 For the everyday consumer, there may not be a better choice on the market today if you are looking to introduce a home theater projector into your entertainment system. 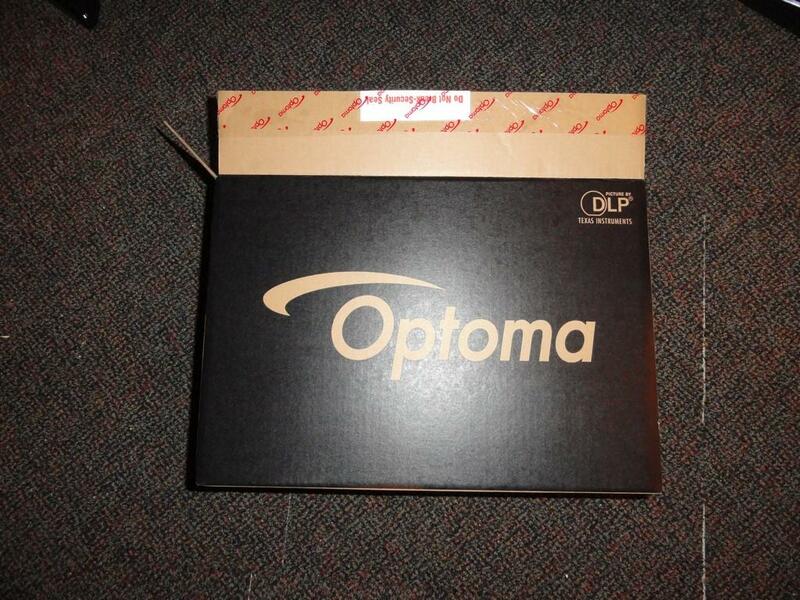 Once again, Optoma has delivered a phenomenal out-of-the-box experience with their HD28DSE projector. 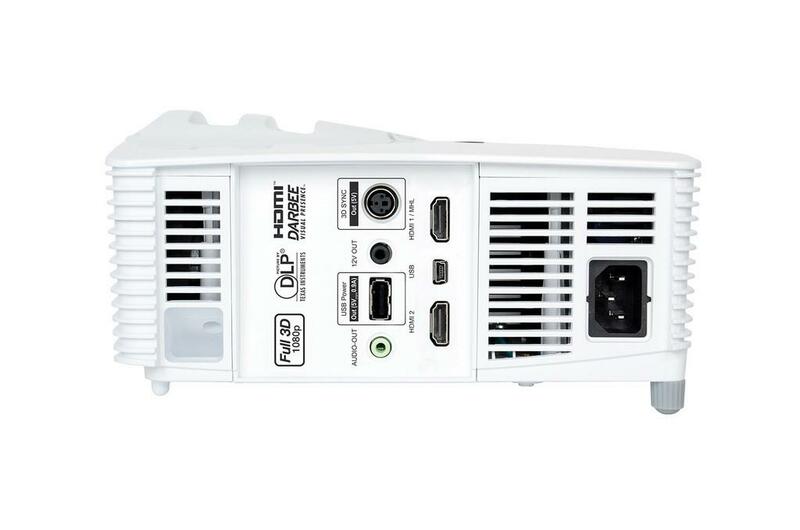 In addition to being practically plug-n-play, the inclusion of the Darbee Processing adds additional sharpness and detail to the image that you would expect to find on projectors costing twice as much. I cannot stress enough how this projector delivers incredible performance for any form of entertainment with minimal investment.